Billionaire casino magnate Sheldon Adelson has withdrawn his proposed investment in a $1.9-billion stadium plan to house the Raiders and the UNLV football team. The Las Vegas Sands chairman and CEO announced his withdrawal via a statement acquired by the Las Vegas Review Journal. Adelson owns the newspaper. "It's clear the Raiders have decided their path for moving to Las Vegas does not include the Adelson family," Adelson's statement said, via the Review Journal. "So, regrettably, we will no longer be involved in any facet of the stadium discussion." Adelson was a major part of the original stadium financing plan. He committed to invest $650 million of his family's personal wealth to the stadium project. The public committed $750 million from a hotel tax, and the Raiders pledged $500 million from the team and a loan from the NFL. The Raiders applied for relocation to Las Vegas earlier this month. A vote could come this spring, possibly at the NFL owner meetings in late March. The Raiders have also told the league and the Las Vegas Stadium Authority that they could continue without Adelson's investment. Goldman Sachs is involved with the stadium financing and help bridge a funding gap. The team had been trying to work out a business deal with Adelson for some time, to no avail. The Raiders said in a statement they were firm in their commitment to move to Las Vegas. "I am hopeful that the Raiders are working to secure the additional funds that would have been provided by the Adelson family," Nevada Governor Brian Sandoval said in a statement, via the Nevada Independent. "At a minimum, we have set up a framework and funding source for building a stadium for UNLV." The Associated Press reported that, per Sandoval's office, the Raiders are now responsible to invest $1.15 billion and take over stadium operating responsibilities. According to the Las Vegas Review Journal, Adelson said was surprised by a proposed lease agreement presented to the stadium authority. 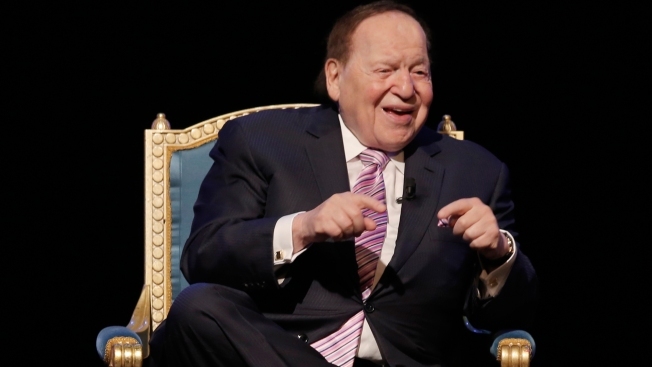 "It was certainly shocking to the Adelson family," Adelson said. "We were not only excluded from the proposed agreement, we weren't even aware of its existence. "In addition to being discouraged by the surprise submission, I was deeply disappointed for the disregard the Raiders showed our community partners, particularly UNLV, through the proposed agreement."